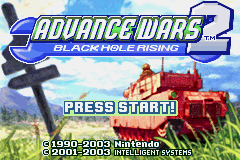 Advance Wars 2 Game information, statistics and other numbers. The orange star troops are the attacker’s base damage. Blue Moon troops are the target of the attack. (1) represents a primary weapon that uses ammo, (2) represents the secondary machine guns that do not require ammo to fire. You can sort a target by damage taken by clicking the icon along the top row. Secret Dialogue: In the mission “Cleanup”, move all of your units until they are all completely out of fuel. You will get some special alternate dialogue from Nell. “Nintendo” Map: Hold L+R when starting Design Maps to load a special map. Secret Dialogue: When in Design Maps, attempt to place a unit in an illegal position 50 times in a row. You will get some special dialogue from Nell.